Printing was reduced to a logo in two or three dull colors. The same lack of fantasy was seen in the model of the boxes. All more or less variations on the same themes: the banana box or the folding box. But times have changed, as has technology. Today’s corrugated isn’t used for packaging or transportation alone. A lot of new utilisations have been added lately, thanks to new cutting and folding technology. Varying from furniture, lamps, even temporary shelters and art. However, packaging is still the most common application for corrugated board. But in a much more attractive way, because packaging is now often used as a display too. 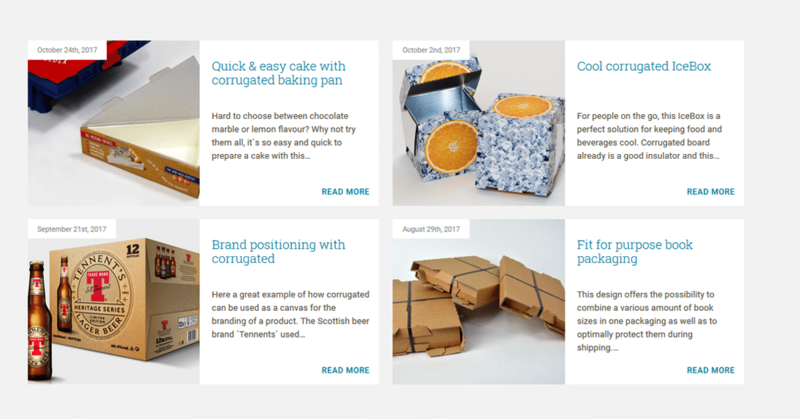 Some great packaging examples can be found on Corrugated-ofcourse (by Fefco). In the past full colour printing was only possible using pre-printed liner. But today’s printing technologies enable direct printing on ready produced corrugated board. A less expensive solution with great results. The only downside is that to get a clear and sharp image, the corrugated board has to be absolutely clear of dust, fibres and loose particles. And as the die cutting gets more complicated, more slitting dust and trim is generated. So the need for an effective web cleaning solution that deals with the complex issues of corrugated production is more important than ever. 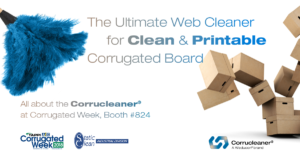 Read more about the Corrucleaner® web cleaning solution for corrugated board.